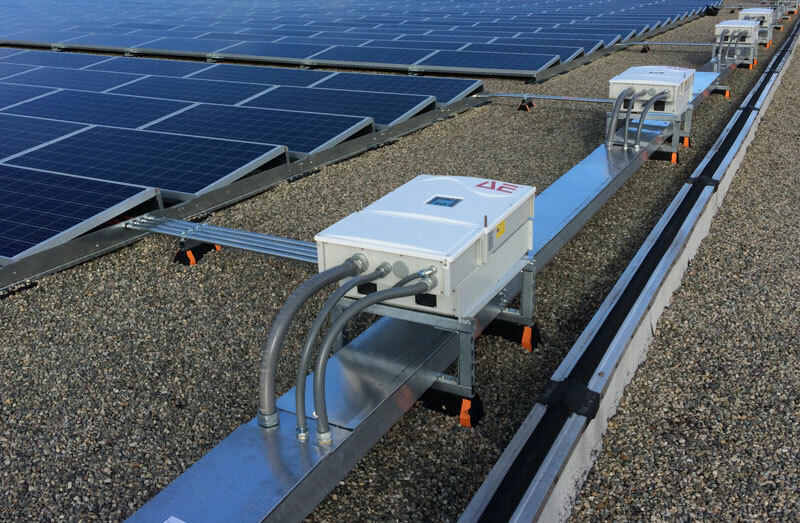 Pure Power engineered a rooftop solar PV system with an innovative new method for mounting string inverters. 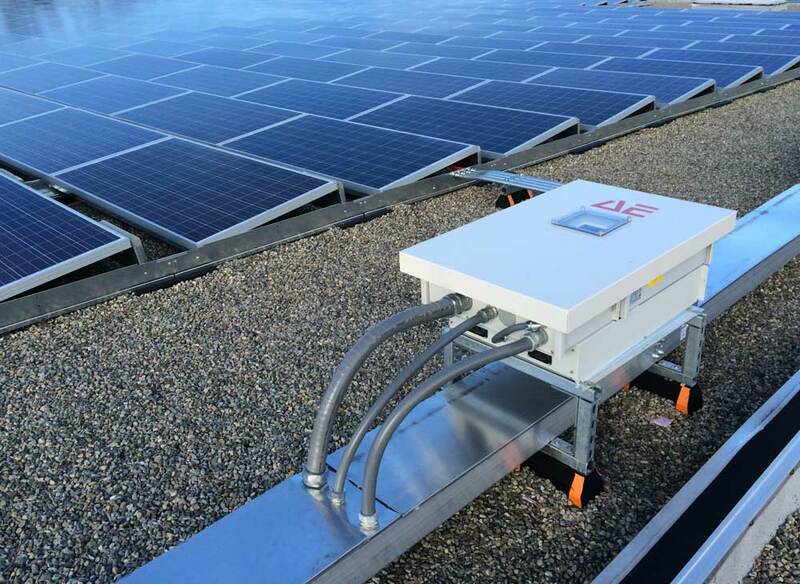 The inverters are mounted on strut stands directly over cable tray, and the AC and DC wiring is all neatly and compactly run in the cable tray. The cable tray has barriers to provide the required separation between the AC, DC, and communication circuits. 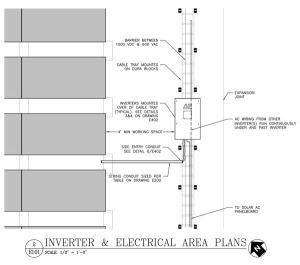 In addition to being clean and attractive, this value engineered solution saved the installer considerable time, money, and space compared to traditional conduit raceways. Here are photos of the finished product. The electricians executed Pure Power's plans perfectly.